Since 1996, critically ill children and their families have had the opportunity of a lifetime to meet real-life cowboys from the Professional Bull Riders, Inc. (PBR), through Believe In Tomorrow’s Hands On Bull Riding program. As PBR tours its way through cities around the country, sick children and their families get to kick up their heels and watch the world’s top-ranked cowboys tough it out for eight seconds on the back of bucking bulls. 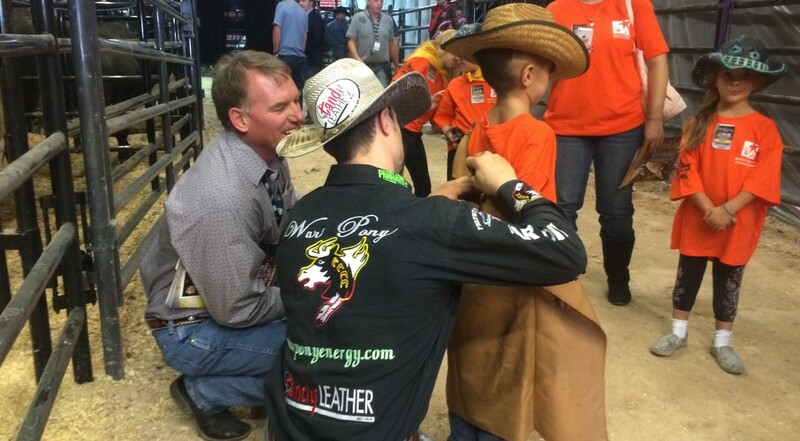 To learn more about the Hands On Bull Riding program, click here.